Get ready to taste one of the most delicious drinks of the season! 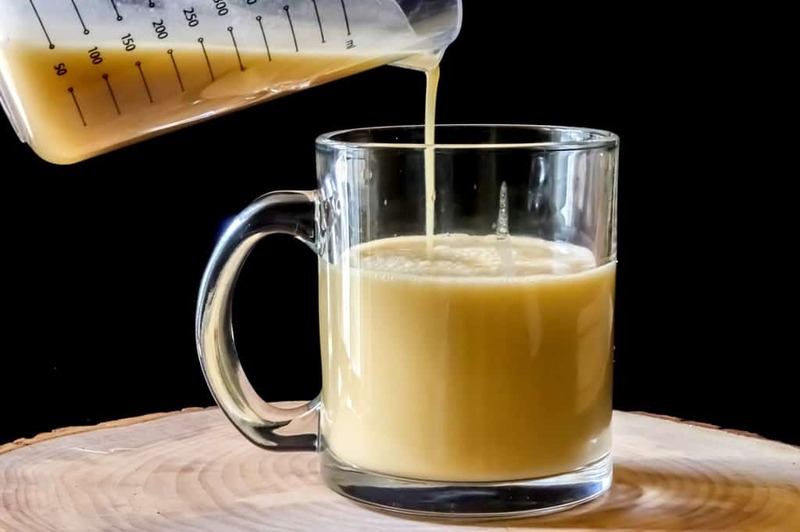 Our salted caramel apple cider recipe is everything you’ve been craving without any of the alcohol you traditionally find in hot winter drinks. Think of it as a virgin hot toddy, if you will! It’s delicious for sipping alone as you binge on holiday movies or for making a big batch for all those Christmas parties you’ll be hosting! Check out how to make it, then print out the recipe card for later! ►►Get Our Recipe Ebook HERE. Combine brown sugar and heavy cream in a medium heavy-bottomed sauce pot and heat over medium heat. Stir until sugar is dissolved in the cream and the mixture bubbles. Slowly add the apple cider. It might bubble vigorously, so be gentle. Add the vanilla extract and salt and stir to combine. Allow mixture to simmer for 10 minutes, or until heated through. Pour in tall glass or cups and enjoy warm. Optional Step: Garnish with whipped topping, caramel syrup (store bought) and a cinnamon stick (optional). Enjoy! 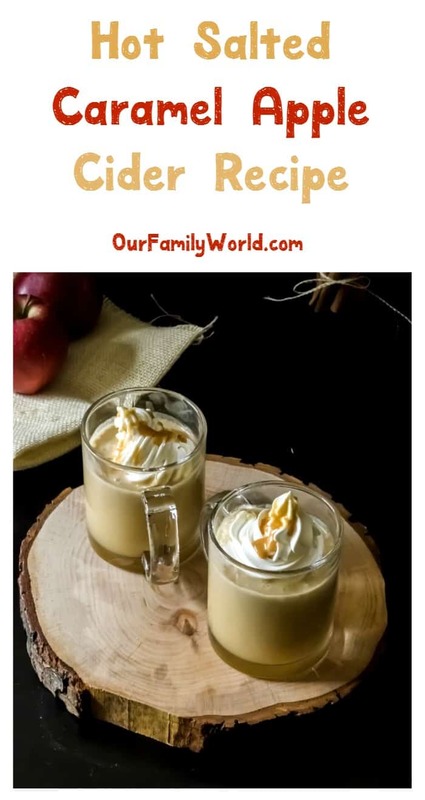 Trust me, once you’ve tasted this delicious hot salted caramel apple cider recipe, you’ll want to make it part of your nightly winding down routine! Imagine a hot glass of it in your cold hands after playing outside in the snow with the kids, too! So many ways to enjoy it, I’m almost looking forward to the freezing cold weather! If you’re craving something a little more chocolaty, I highly suggest checking out our favorite decadent hot chocolate recipes. Between those and this recipe, you’ll be feeling toasty warm inside and out all season long! Do you have a favorite hot winter drink? 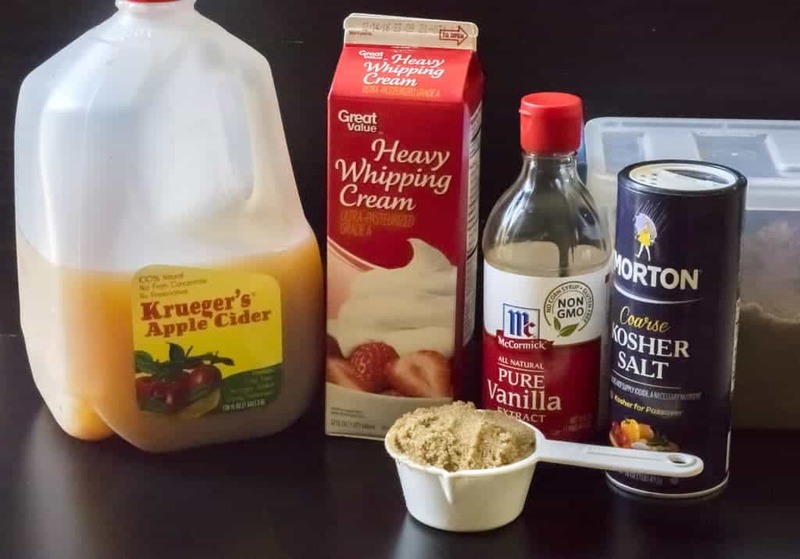 Have you ever tried making your own salted caramel apple cider recipe? Tell us in the comments! Yum!! This sounds so good! Thanks for linking up with Merry Monday! OMG YUM! This recipe looks incredible! I wish I would have seen this to have on the night of trick or treat – so cold! Oh my, your Salted Caramel Apple Cider looks super delicious! 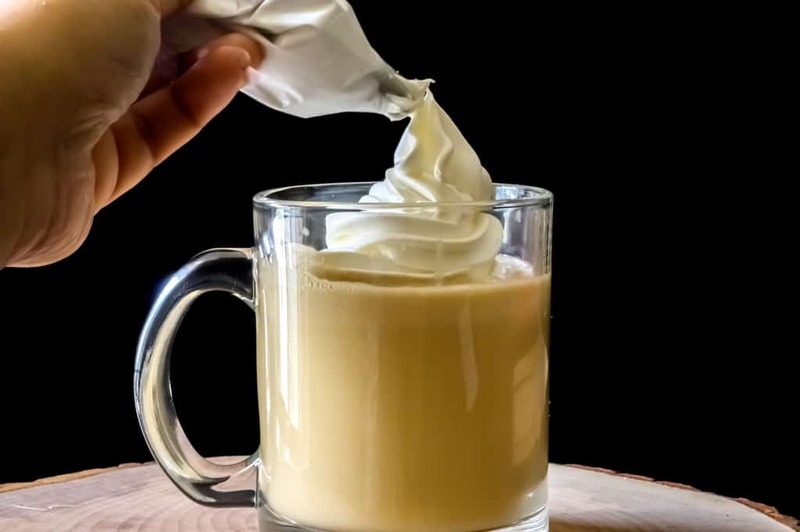 We are getting some cooler weather here, so it’s time to start trying out all those hot drink recipes. This looks super delicious! I want to have a cup now. The hot chocolate list I want to try for a cold fall weather. Ooooo, it looks delicious! I’ve saved the recipe. It looks perfect for the cold winter nights. Chocolate is more my style. I’m definitely checking out the hot chocolate list!